Eliza Gilkyson/arr. Craig Hella Johnson - G. Schirmer, Inc.
Singer/songwriter Eliza Gilkyson wrote Requiem as a song of grief following the Asian tsunami in December 2004, and the song found a renewed audience after Hurricane Katrina devastated the Gulf Coast region. 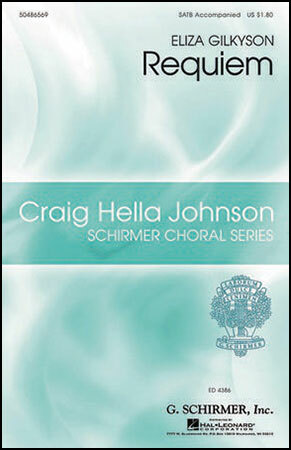 This setting by Conspirare conductor Craig Hella Johnson is powerful in its emotional impact.